Due to the number of teams and race schedule being calculated to suit, the entries are now closed . Teams may take on further drivers if needed but number of teams is now locked . Thanks for your understanding. 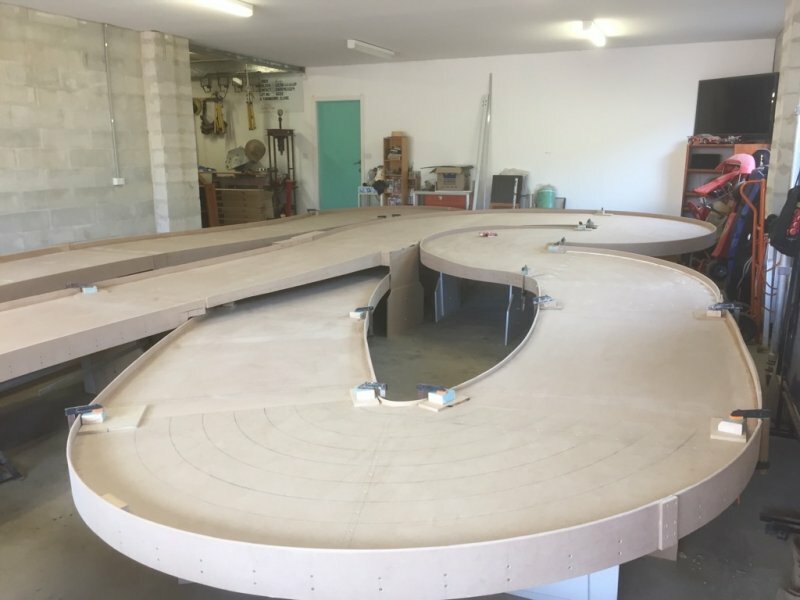 This years 1/24 MCN is being held in NSW. 25th , 26th & 27th of May. Pagey’s “Bull Ring” in Shellharbour 20 mins South of Wollongong . 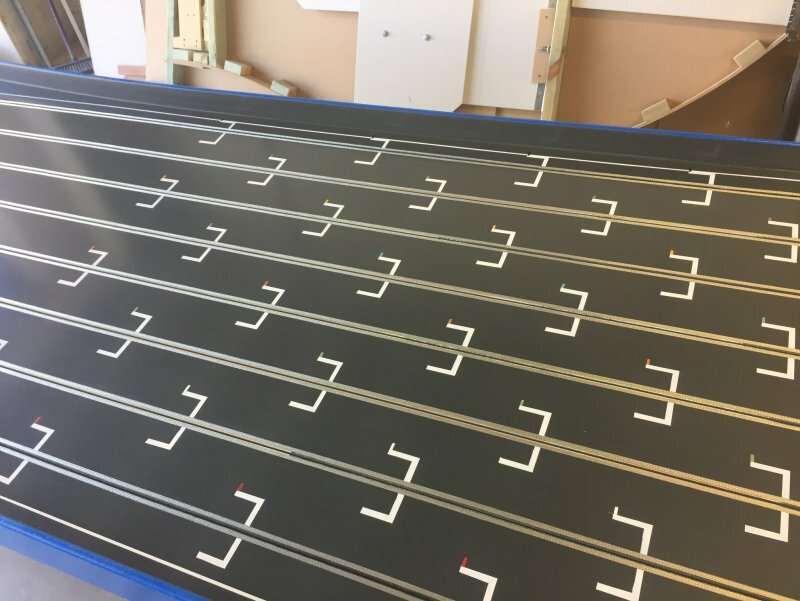 The track is 48 meters in length and an 8 laner. 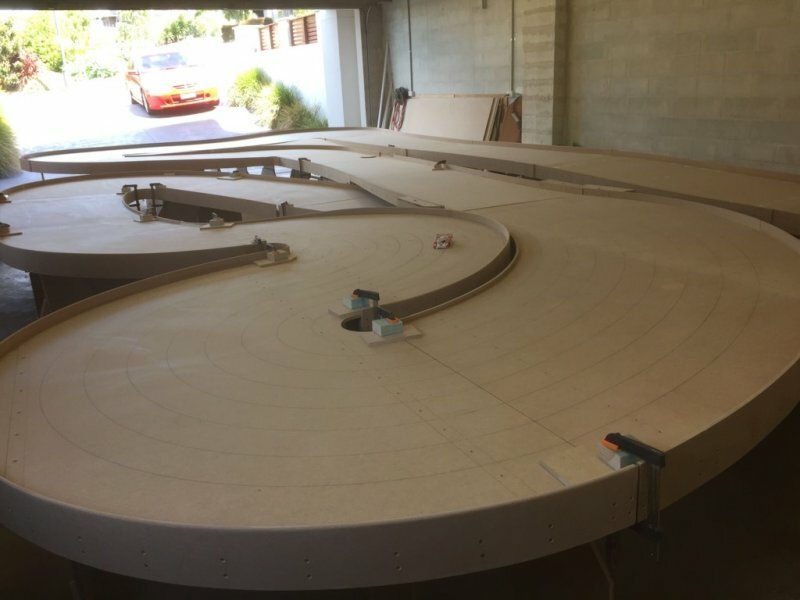 Progress photos of his build are on this forum. I will get Pagey to post accommodation details. Friday practice is free for all racers. Starting at 0800hrs until 2200hrs We will be holding organised brackets . Not a good idea to have a F1 on track same time as a hard body Scaleauto for example. - 2 man driver min and 4 man max . Cost per driver is $10 . - Cars are as per national rules . Please note the changes to body ride height on older bodies please . - Motor nominated is the SRP 25K must be stamped . - 2 man min and 4 man max . Cost is $10 per driver . - Cars are as per national rules . - Gearing is open . Saturday Plafit FLM day/night Teams Enduro. - 3 man min and 4 man max . Cost is $10 per driver . - If you require a 3rd driver a name will be pulled out of the hat for the team so you can race . - Cars are as per national rules. Lights must be operational. However the front lens may be coloured. - We will be having a meal break half way through the event . A pizza run will be made and a chip in $ for the meal . There will be two classes , each separately classified . In the same race at same time. The SC-8000 old chassis , body combo as per the 2018 rule set . - Motor is the standard SC26 Scaleauto. - Plafit wheels and tyres are allowed. The SC-8003 new chassis body combo as per 2018 national rule set . - Motor is the standard SC 26 Scaleauto. - Gearing is 14/44 . - 3 man min and 4 man max . Cost is $12 per driver . - If you require a 3rd driver a name will be pulled out of the hat for team so you can race. - Cars are as per national rules. - Motor is the SRP 25K long can Motor must be stamped . There are no hand out motors for the event. Due to time restrictions and more track time . All motors will be inspected closely so please don’t do anything dishonest. Big group to explain yourself to . 26.5. Sunday. 0700hr till end of racing . 1st, 2nd and 3rd . - Concourse will be for all 5 classes of cars . It is a Model Car National, So please make an effort on presentation. Slotworx V8, Plafit F1, Plafit FLM , Scaleauto and Slotworx Porsche. - Presentations will be directly after each race . - Sunday is $10 per driver for Scaleauto and $12 per driver for Porsche Cup. - So for those who can’t add up ( like me ) it’s $52 per driver if you are in all 5 races . - No card option at track so cash only please . - Money is to be payed on the Friday please. If you are only available on Race day you have to pay before race . - Money is to help pay for trophies, 53 in total I think . - No qualifying for any race on weekend. Reason is once again time . More track time racing I think is better value. - All teams will have name pulled out of a hat for Lane colour and race bracket. Equal chance for all . - The Plafit F1 and Plafit FLM are at 12v . Practice voltage will be adjusted to suit when cars are grouped on track . With the large number of teams and men to work with the schedule has been designed with limited time wasted . 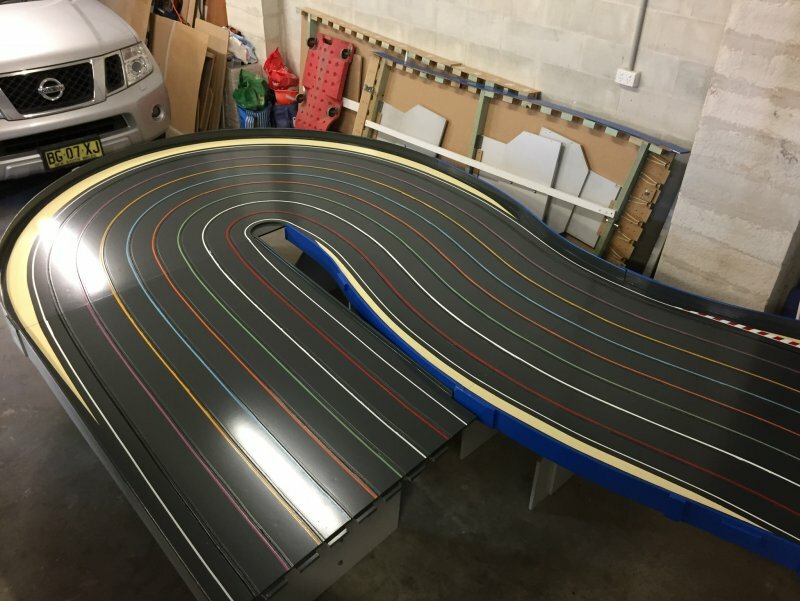 For your racing track time . So! No preschool time wasting racers will be given any special time. Race starts on time ! With or with out you ! No exceptions or excuses. Also applied to tech checks . Not checked or in at correct time , no race . No exceptions or excuses . We have to stay on time especially with interstate travellers who have a 2hr return trip to Sydney for flights home . You have been warned but I’m sure we can all work together for a smooth enjoyable weekend. Stress free . - Food and drink will be available at the track over the weekend. We are not a canteen so the menus will be limited to toasted SW , bacon egg rolls , Fruit and snacks etc . All at cost price, my kids and wife will be looking after that for us . - A full race program will will follow shortly. - We are very grateful to have Jason Brooks ( Brooksy) as our race director. 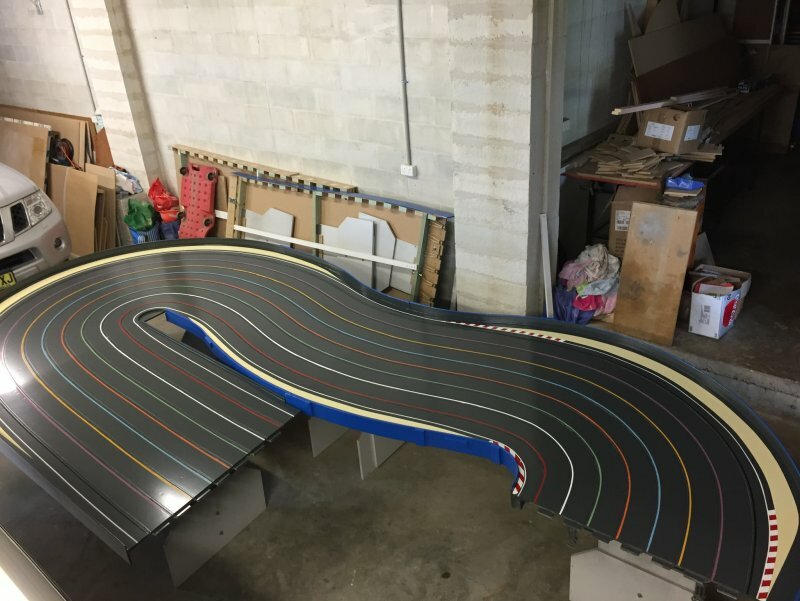 - We will also have the services of Werner Ace Hobbies as our scrutineer. - Also Cam Slotworx will be scrutineering also if required . - Along with a great group of local race mates I’m sure everyone will have a great race weekend. 1800hr Slotworx V8 and Plafit F1 handed in for tech check . Ready to race next morning . 0730hr / 0745hr Draw lane and bracket for Slotworx V8 , Plafit F1 and Plafit FLM. By 1200hr all cars are to be handed in for tech check . FLM , Scaleauto and Porsche . time is combined over the two brackets for overall results. 2145hr till late beer o’clock. Cars tech checked on Friday night , V8 and F1. Make sure you are right with them . Limited time on Saturday morning to fix up any non compliance. Race will not be held up for non compliant cars . Please nominate what class you intend to race in Old or New please. 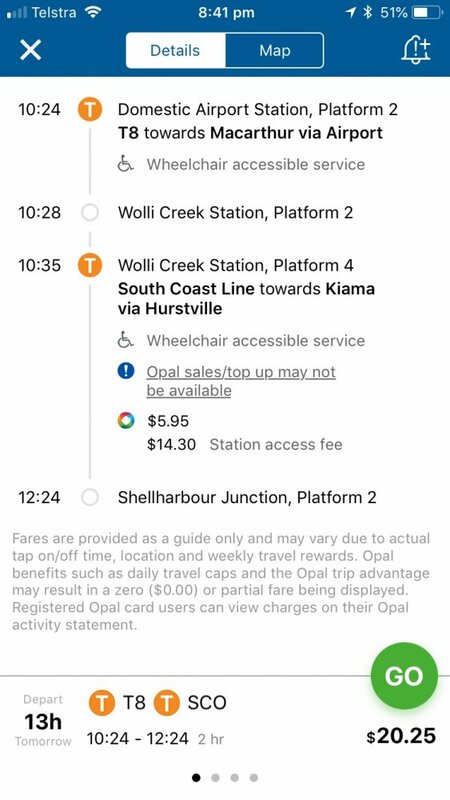 Info on train transfer from Sydney domestic airport to Shellharbour Junction. Would be best to research yourself though . Awesome Noel, been a long time since a national event was held in NSW. 2013 was the last one, thanks for getting us a gig. The classes look great. Thanks Noel for your efforts in putting together another top weekend for us . Looking forward to the event and love the Enduro format . More track time for everyone to race is always a winning format for me . It will be great to continue team races with Hornsby and Slotfest later in the year also . Looking like a top year of racing ahead . Ok i am going to open up a hornets nest, but its a topic of interest around the traps. Much like Australia day vs invasion day. When is the MCN going to actually support the "Hard body" model cars that come into the county. eg BRM group C and trans-am , or a scratch built hard body class of which there are a plethora of opportunities. To me it feels like another Slot fest or Hornsby meeting . 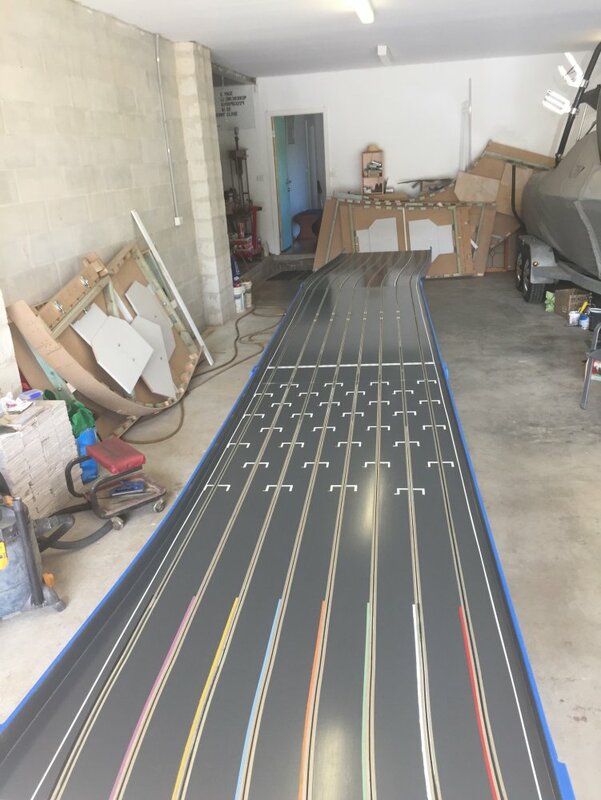 We should have a event that actually show cases the Slot cars that are available in the market of either scale , like we have attempted in the past. Accommodation, transport and food options below. To answer your question Nomadracer not this year unfortunately. However if some one wants to take the reins for next year they can suggest what they want to run. We are nearly one month into the new year so I thought I’d take the Bull Ring by the horns and nominate something. I didn’t want to stand on other events toes so got in as early as I could. For anyone out there who wants to organize a 1/32 MCN please feel free to do so. Pagey’s “Bull Ring” in Shell Harbour 20 mins South of Woollongong. 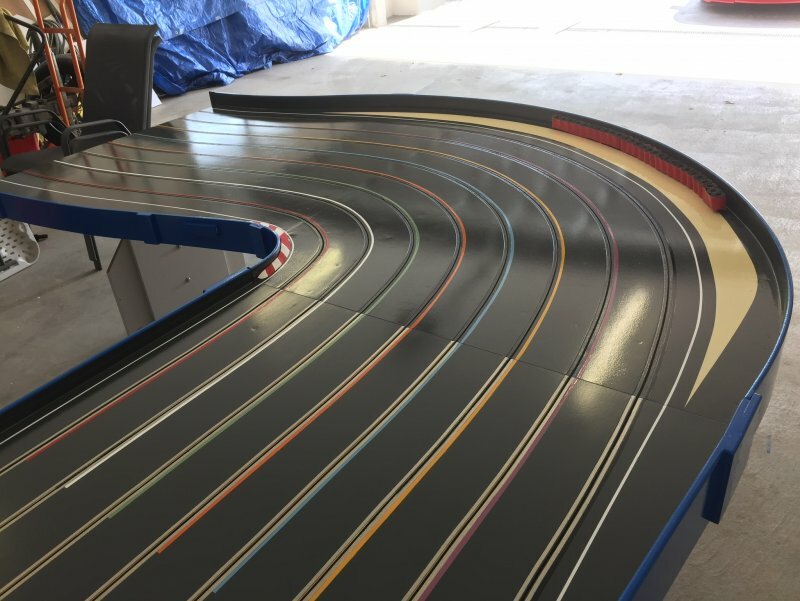 The track is 48 meters in length and an 8 laner. 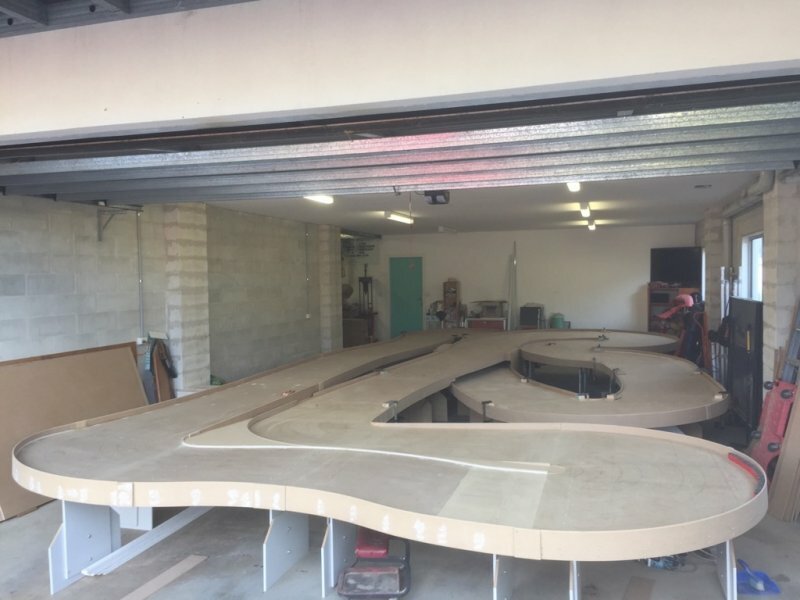 Progress photos of his build are on this forum. I will get Pagey to post accommodation details. All classes on the Saturday are $10 per driver per class with a min of 2 drivers max of 4. Sundays Scale Auto race is also $10 per driver. the Slotworx Porsche race will be $12 per driver min of 3 max of 4. 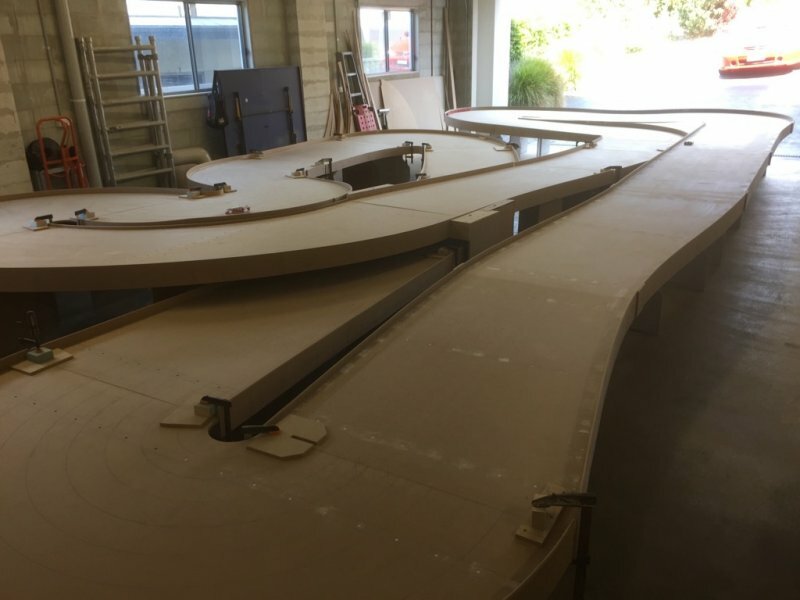 Here are some photos of track under construction for those who are interested. The unfortunate part to our hobby is that every state races totally different classes and even with in the individual states multiple classes are raced. So it becomes very hard to please everybody. I’m sorry that all are not happy but as above is the problem. Nomad, I understand where you're coming from but have a look at the 2017 MCN Schedule and you will see why 1/24 and 1/32 has to be separate event weekends. There were just too many classes and precious little track time for anyone to learn the track and tune cars. Out of towners were at a distinct disadvantage with 1/32 racing tying up the track on Friday for most of the day and only an hour or so for practise on the Saturday morning. There is no National body in 1/24th and as Noel said each state seems to have its own agenda so what is the right answer? 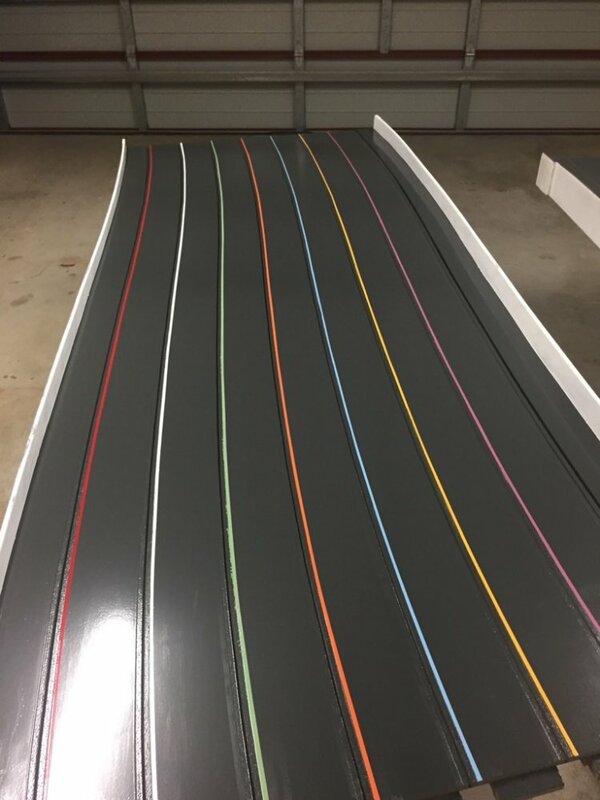 Luckily, every year we are spoilt for choice with the events you mentioned above but at the end of the day organisers quiet rightly need to promote classes that will bring the most competitors and hopefully put some money back into the track owner's pocket to cover the use of the facility. This looks like it will be a fantastic race weekend to be involved with. Thank you for the time and effort Noel and Glenn, plus any other behind the scenes guys have put in to planning the 1/24 MCN event. The build pics looking fantastic Glenn and a massive shout out for opening up your home and the Bull Ring for a national event. The racing I'm sure will be top notch and with Pagey being on his home turf, I'm fairly certain the night time drink sessions will be on another level. Did you get our entry for this event ? Outer Towner's Ian Jack Paul all events please. 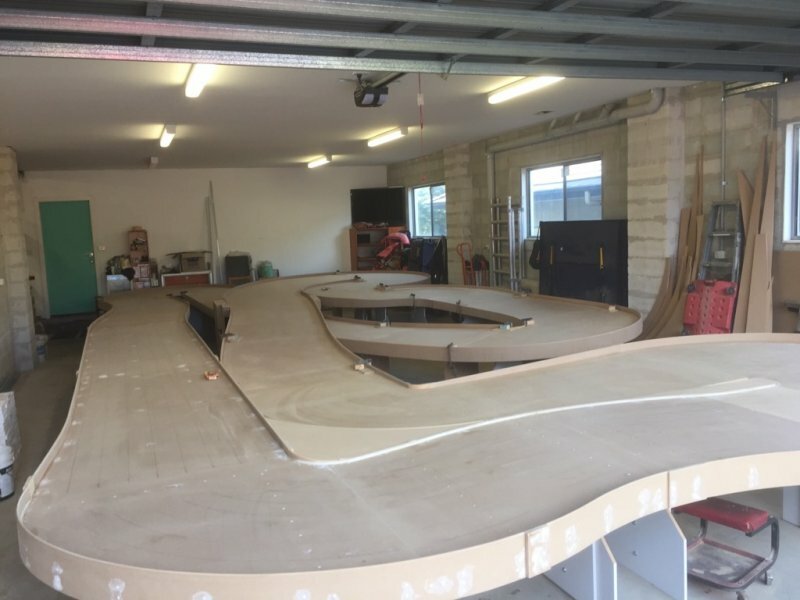 Just a small correction on the above highlighted statement .... track was actually still being built when we arrived ( so no one had driven on the track prior to Arkin sliding his Slotworx around on lanes testing them ) so we were all in the same boat with regards to no practice. And as an 'out of towner' i did feature ok there. Id like to be in. Just need another team mate or two. Question for the Porsche class. I may only be able to get myself one other driver chances of spare driver? Or would the allowance of having to pitstop for a allocated time to makeup for a third driver be permitted? I can also paint hard bodies on request. G’day Gordon . The classes will be all run under national rule sets . 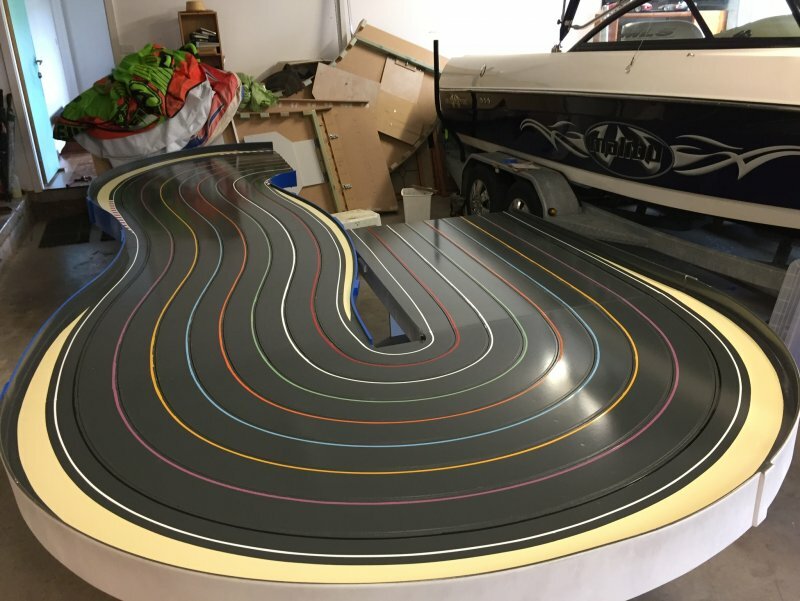 Found on this forum for Slotworx, Scaleauto and follow the link on the APC page for Plafit classes. Or look up ACE hobbies. Full list of rules for the Plafit classes are also listed there . Now we have Hornsby run and won we will get onto finding you a team as soon as possible. Will PM details so you can organise and prep . Great to have you on board .